Great filter for a shower head. I live in an area with extremely hard water, and since using this filter, the wife and I don't have any dandruff anymore. And it's so much better for our skin too. As expected great quality. Thank you ! My wife realised we needed a new filter when her hair didn’t de tangle as well as previously. it works great in our very hard water area. Item delivered quickly and as described. I replace the shower filter every month. A great product and service from PureShowers. Would highly recommended for hard water and delicate skin conditions. Easy to fit, works well. 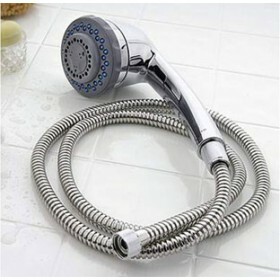 Makes the shower head rather heavy but it works well. Fabulous hair and skin softer no black scum in the shower from hardwater. Very good & highly recommended. Very good product. I'll buy again. I would have said good but I emailed and no-one got back to me ** Reply from PS Team ** Hi Denise, we did get your email and also we did reply to you about how to change the cartridge. Maybe your email blocker stopped our email. We'll try to contact you again. 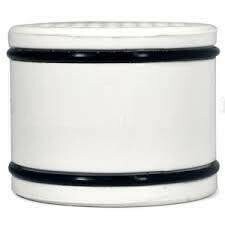 Replacement filter for shower head - prompt service and delivery. 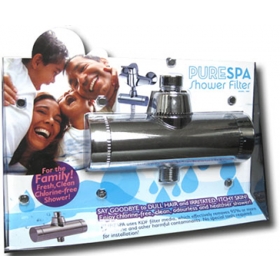 Product does what it says - reduces chlorine and limescale - win win situation. Changed the filter and again can see such a difference! Thank you, did reccomened my colleagues today. I've seen improvements with my skin and hair. I would recommend. I've struggled with dry brittle dull hair all my life. Since I'm using the shower head it's soft and shiny! If only I had known earlier. Main reason for getting is switching to an all organic and chemical-free lifestyle for health reasons. Shower water is equally if not more important than drinking water as many chemicals are easily absorbed through the skin esp. with hot water/steam opening the pores. Easy to install, very effective. Will continue to enjoy! The filter has saved my hair from turning green again, hooray! Excellent service, would definitely recommend. Have been using pure shower product for more than 2 years. Great product, great service. A very easy to replace filter, brilliant. If you take very long showers like me you'll find the filter will need replacing every 3 months. I cannot really test how good the filtering is, but I hope it's good. Great filter can feel the difference right away. Prompt service , pleased with shower filter as we have hard water in our area. It works. Prompt, easy to use service. Great product, can feel the difference right away. 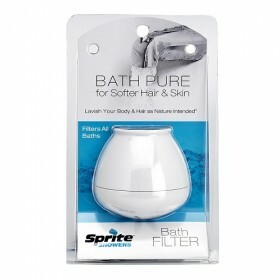 Extremely happy with the quality of products by Pure Showers and speedy delivery on items purchased. Great customer service over the phone to provide advice and recommendation on products. I am pleased with the product and service your company provides and the regular offers and discounts you provide. I value the benefits in the form of additional well being, they bring to the household. A good service and very good product. Delivery seemed a bit slow. Improvement would be welcome. fast delivery, easy to replace old filter. The filter dramatically reduces limescale and other impurities in London tap water. Hi,we are very happy with the service that you gave to us ,and thanks for your on time delivery as well. No problems experienced and high quality product. well done. I can tell the product works because we have noticed the difference in skin and hair since changing the filter In the shower head. Very quick delivery also. Overall satisfied with the products, delivery and service. Thank you. Hair is noticably softer as a result of using this filter. 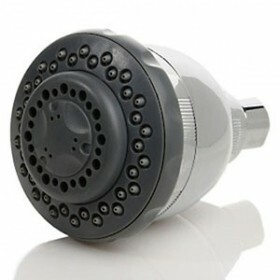 The only downside is that the shower head is very heavy as filter is quite bulky but overall a small price to pay for a good product. The service was excellent with dispatch and attention to detail to the fore. Very satisfied with service to date.